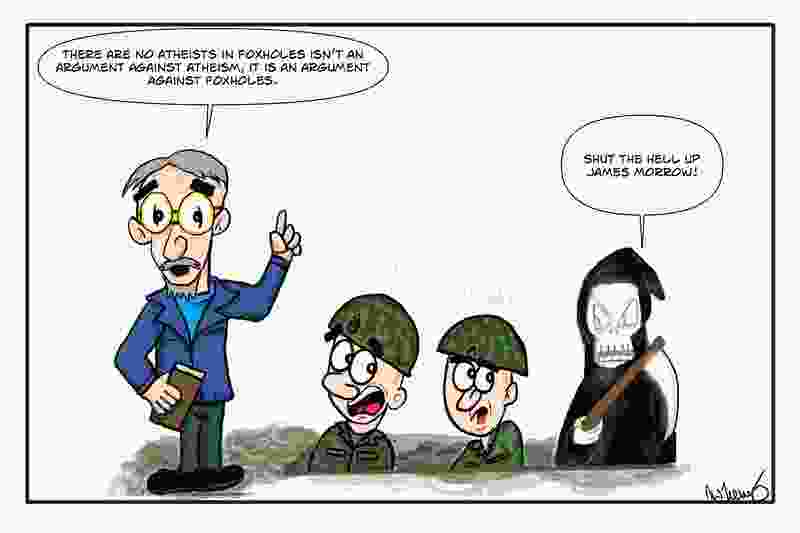 James morrow shares his thoughts on atheism with soldiers in a foxhole. Probably not the best timing for the old fella to do so, which probably led to his death and ongoing torture in the bad place. Always remember to support the troops!